The struggles in Punjab today are a reflection of decades of deep frustration amongst global Sikhs in respect to the long standing disingenuous and misguided leadership in recent times. 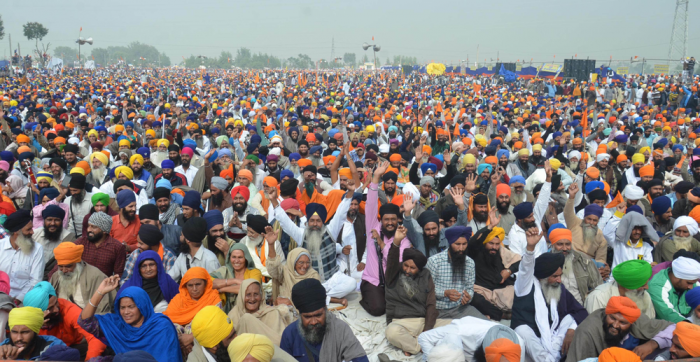 The Sarbat Khalsa held this month was attended by thousands of Sikhs across India to witness and partake in the direction of the Sikh Panth. A televised live event on various channels, openly outlined the drive to take back panthic control of the Sikh’s heart land. Whilst I don’t comment much on political matters, it is deeply apparent that the regime at Akaal Takht and Harminder Sahib’s close relationship with the Badal government had clearly impacted against Sikh best interests. The residents of Punjab have been ‘asleep’ for far too long despite the Guru’s clear guidance empowering the world Sikhs to expand society, law, economic and other systems that abide to universal law. Our lack of purpose and progress is regrettably a reflection of our belief, understanding and experience of Sikhi. A handful of conscience beings can change the world, what if there was a nation of conscience beings (Khalsa), what if….